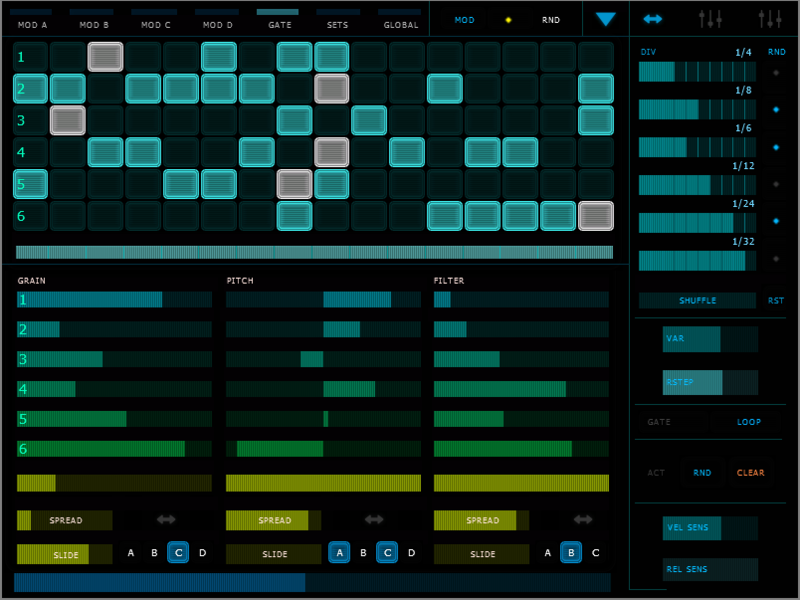 Scapes is a real-time effects processor and sound generator based on feedback. It uses six independent granular delays, extensive modulation options, a gate sequencer and familiar synth style controls to dynamically manipulate the sound. With Scapes you can create high quality and unique soundscapes, rhythms and sound effects perfectly suited for use in music, film and game audio. You can easily connect it to your favorite hardware controller or iPad and immediately have fun. Now includes Antonio Blanca's Lemur template for the iPad! How does it basically work? 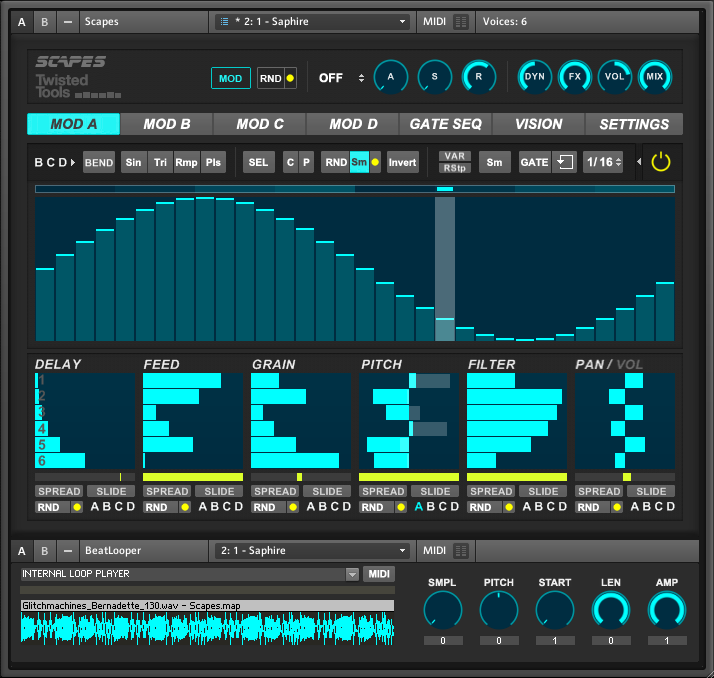 Scapes is a delay effect that runs in both plugin and standalone mode using *Reaktor as a host. Like most delay effects, you need to feed it signal (and hit play!) to get it going. You can feed SCAPES several types of signal. You can feed it live audio from your host, direct audio from your audio interface or by using the included sampler and sample content. Plus, you can also generate sounds internally by using any of the available sound sources. 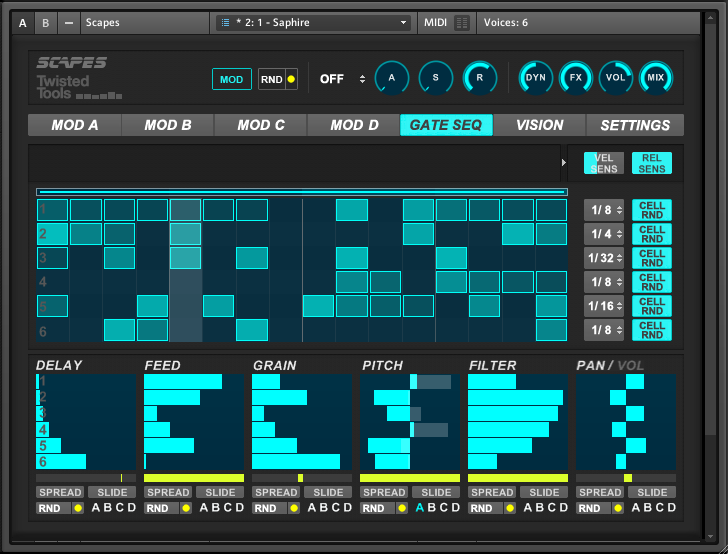 Scapes is made up of six independent delays (Delay Line’s 1-6), all built into one interface. Each delay can have an its own source which sends signal into the effect. You can select from any one of eight sources in total per delay line. The available sources for each delay are: External, Impulse, Noise, Saw, Self-Osc., Sine, Square, Triangle. Please download our documentation for more information. Producers seeking abstract or rhythmic sounds to add dynamic elements to their music. Professional sound designers needing modern or futuristic sound effects for film/television/radio/game. Anyone looking for unique and strange delays, auto panning, filtering and volume effects. Producers looking to turn a sound into a chord using tunable comb delays. Anyone seeking drones and massive sub bass drones built with feedback. Producers looking to make oneshot sounds or to breath life and movement into existing oneshot samples. Anyone interested in improvising live with futuristic sounds by connecting standard MIDI controllers or iPads/Phones. 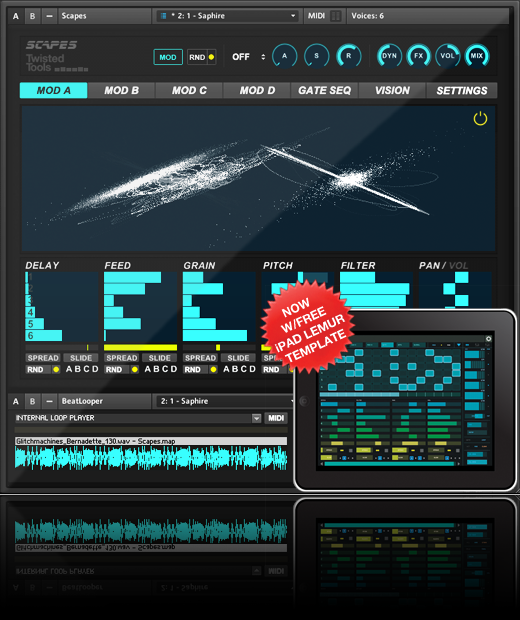 Please visit Native Instruments website for more information. The package size for this download 158.8mb zipped, so please allow yourself ample time to download the file if you are on a slow internet connection. On a very fast connection, you should be able to download the package in about 4-7 minutes (or less).